Policies | Roberts Overdoors, Inc.
90 days limited warranty on service. One year parts and labor warranty on installation. Please see the manufacturer’s website for details as specific warranties vary for each door. 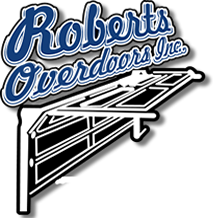 Roberts Overdoors does not sell or share the personal information you give to us with any other entity for the purpose of marketing their products or services to you. We may share information with other entities that assist us in providing our products and services to our clients in the normal course of business. We will disclose only the minimum amount of information necessary for us to offer our products or services to you. We restrict access to the information you give to us to those of our employees who need to know that information to provide products and services to you. We at Roberts Overdoors are diligent in our efforts to keep the information you give to us confidential. Confidentiality is one of our main responsibilities in our continuing efforts to provide you with services and keep your trust. All media, text, images, logos, software, artwork, and other information contained on this web site are owned or licensed by or to Roberts Overdoors and protected under U.S. copyright law. This includes but is not limited to the design, arrangement, layout, and presentation of said materials. Copyright gives Roberts Overdoors exclusive right to reproduce, distribute, perform, display, or license a given work. Federal law prohibits any and all unauthorized use of Roberts Overdoors’s copyrights without express written permission from Roberts Overdoors.